Meher was visiting from Holland last week. We decided to take a day trip to Sravanabelagola, Belur and Halebid: three temple towns in Karnataka. We had both visited these temples years ago. I had good memories of them and wanted to see them again. We rented a taxi for the day and set off at 7am so we could beat the traffic. This we managed until we hit Tumkur Road heading towards the north-west which was jammed with traffic, mostly trucks. Construction work was in progress to widen this busy road. But before long we were outside the city and heading through the beautiful countryside. We passed people working in the fields and children on their way to school. We noticed that the huge old trees lining the road to Hassan were being cut down. At one point we were directed to make a detour through a field to avoid a felling in progress. The driver informed us that this road would be widened too. Traffic did not seem heavy on this road at all, though it was a weekday and maybe the scene is different on weekends. It was sad to see all these big beautiful trees disappearing and we saw quite a few trucks hauling huge logs away. We often had to slow down to pass over long stalks of some type of grain which were put across the middle of the road by the villagers. I asked the driver what this was and he told me it was ragi - a type of locally grown cereal which is a staple in this region. By having cars and trucks drive over it, the grains are separated from the stalks, making the task a little easier for the farmers! 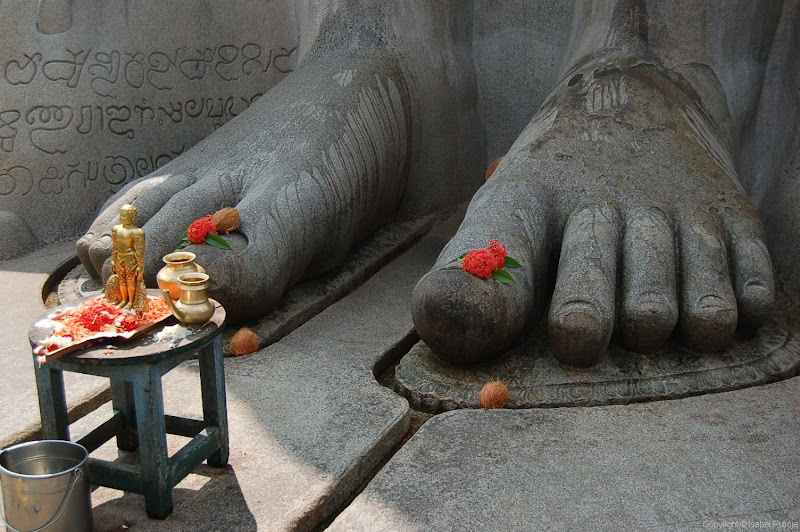 As we approached Sravanabelagola for our first stop, we could see the huge statue of Gomateswara standing atop the hillside. It was a surreal sight to behold. 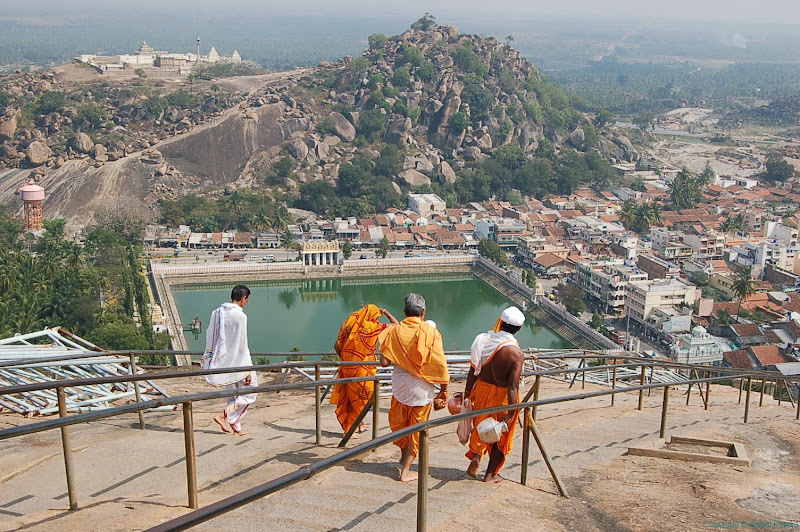 We left our shoes in the car and prepared to climb the 614 steps to the Jain temple at the top of the hill where Gomateswara was waiting. Meher couldn’t remember if the statue was male or female and I assured her that she would have no doubt about that once she saw it! 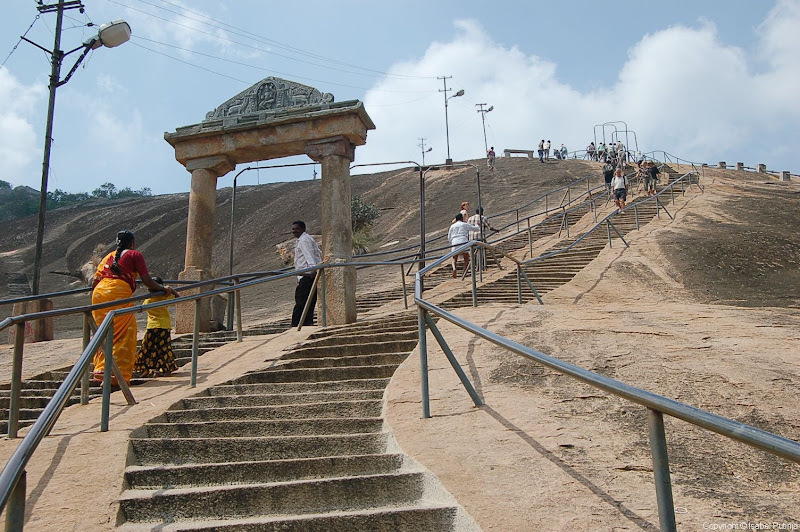 614 steps later, all 58 feet and 8 inches of Gomateswara was standing before us. 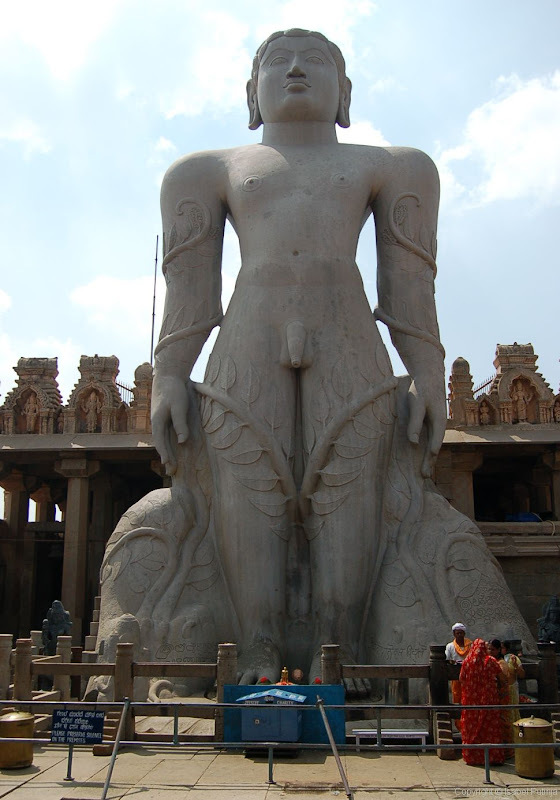 This is the largest free-standing statue in the world, carved out of the granite bedrock of the mountain between 978 and 993 AD. 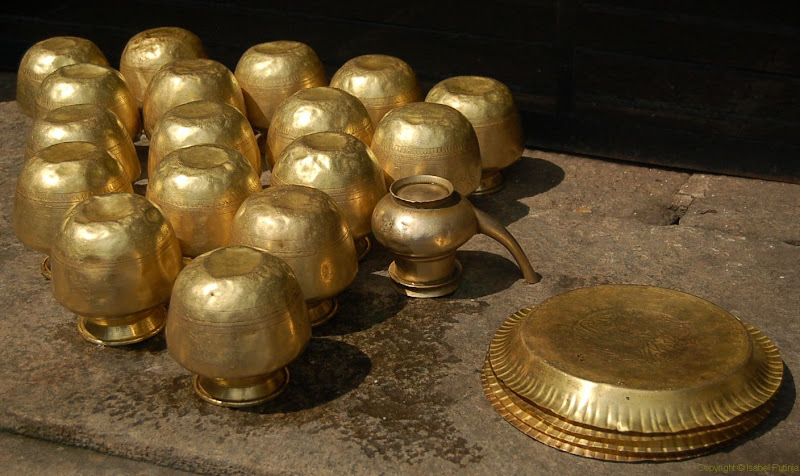 Once every 12 years during the Maha Masthaka Abhisheka festival, Jain devotees chant mantras while ritually pouring milk, ghee, curd, honey, saffron and gold coins over the statue. The last time this took place was in February 2006. The Jain priests had just finished a puja. A few devotees were receiving their blessings and a group of French tourists were busy snapping photos. We had a look around and admired the spectacular view from the top of the hill before heading back down. The priests keep everything neat and tidy. The view on the way back down. 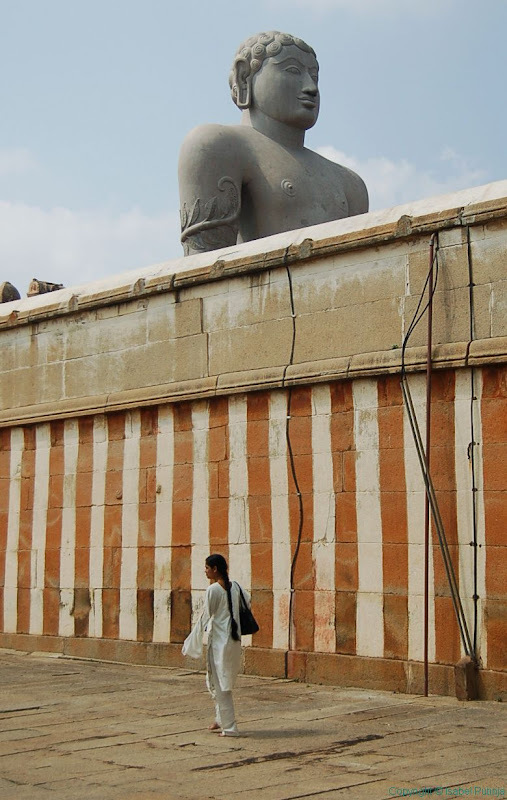 Next stop: Belur - the subject of a future post! See this is why I read your blog - I get to learn about so many things (the things I am already supposed to know). 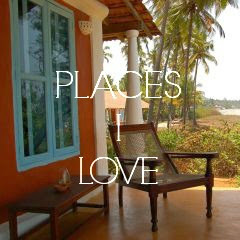 I technically belong to Mysore, and my parents used to tell me stories about these places when I was little. But I never really got a chance to visit these places. 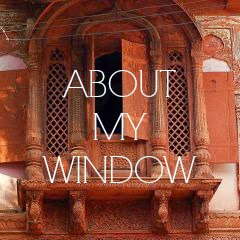 Through your blog, I can atleast see pictures and learn as much as possible about places and culture in India. Thank you for all the enlightenment! 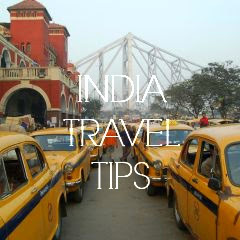 Thanks for a nice post about a part of India I haven't managed to visit (yet!). You take good pictures. Now subscribing to your blog. It was a rainy December day (2007) when I made the climb. My driver dropped me off next to the pool, and I made my way through the omnipresent tourist trinket shops. Took off my shoes, then this 59 year old set of feet started up. It is a long way and I stopped a few times on the way up to look at the view and to catch my breath. At the top, one is in a different world. The clouds were playing hide and seek with the horizon, the details of the rock carving stood out clearly with strong sun light shadows. It all seemed gray except for the bright saris on some of the women and the clothes of the school kids who swarmed all over. It was transcendent and thank you for reminding me how wonderful, by that I mean "full of wonders," India truly is. 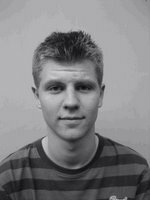 Your blog and fotos are great. Thank you Venkat, Esben and Jerry. I'm glad the post brought back memories for you!